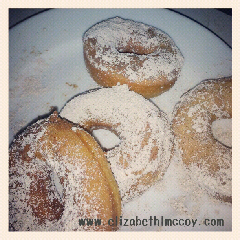 One of my favorite childhood memories is making homemade donuts with my mom. My mom and I decided that today we would make that memory with my kids. The donuts turned out super yummy and everyone enjoyed them.